Shamus Award has established himself as the benchmark three-year-old in Australia but it's a horse from across the Tasman his trainer Danny O'Brien rates the biggest danger in the Rosehill Guineas. Shamus Award, the Cox Plate and Australian Guineas winner, makes his Sydney debut in Saturday's 2000m Group 1 as he bids for a third win at racing's highest level. O'Brien can't fault Shamus Award and says he has come out of his last start sixth in the Australian Cup in great order. The trainer believes the horses coming out of the Randwick Guineas appear an even bunch, but pinpointed the New Zealand Derby winner as an interesting runner. "I think the horse that looks the most promising is Puccini from New Zealand," O'Brien said. "He's been very dominant over there and the best New Zealand three-year-old is usually a pretty good horse." New Zealand colts It's A Dundeel and Jimmy Choux have won two of the past three Rosehill Guineas. Puccini has won four of his past five starts including the New Zealand Derby. Shamus Award drops back to his own age which O'Brien expects to be an advantage given the star colt has had three of his past four starts in weight-for-age events. "The only one he ran against his own age was the Australian Guineas," O'Brien said. "He's used to racing against the harder, tough weight-for-age horses. So back to three-year-olds should be a nice relief for him." 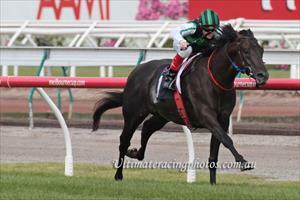 Shamus Award will travel to Sydney on Thursday night and has impressed O'Brien working the Sydney way of going. "He's come out of the Australian Cup really well and he seems to be in great order," the trainer said. "He had a reverse-way gallop at Moonee Valley on Saturday morning and worked super. "I don't think the change in direction will be an issue." O'Brien noted Shamus Award got better throughout the spring and could see no reason why that would not be the case again heading into his fourth run of his preparation.